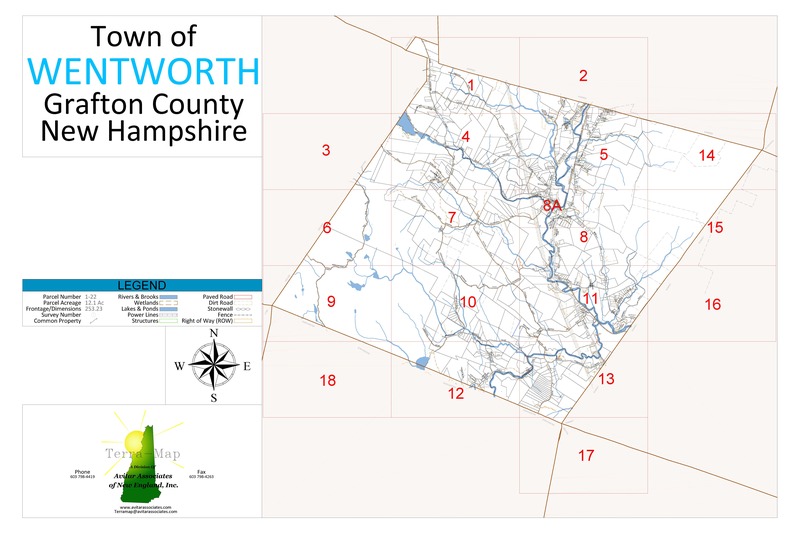 These are the tax maps for the Town of Wentworth. Below the maps is a list of the roads in Wentworth. There is a computer in the lobby of the Town Offices that the public may use for viewing assessing information and the town website. The tax maps below were last updated July 2015. Maps are for assessment purposes - not for deed descriptions or legal conveyance of property. For accurate property descriptions, please refer to property deeds and/or land surveys. Maps are for personal use only and are not to be sold by any person or agency. To access the maps, click the numbered section below to view the map in greater detail. All sections link to PDF maps that open in a new window.